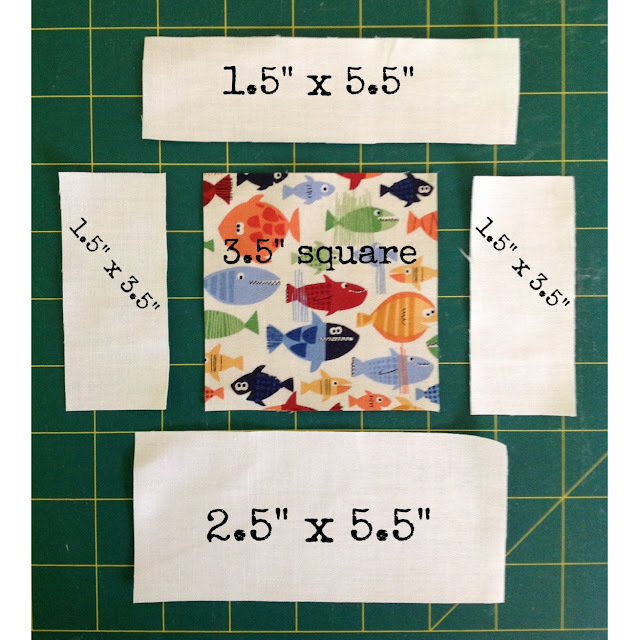 I have been wanting to make a special quilt for a special little man. I found out about this little man a little while ago through an article in a local newspaper and then through his Facebook page. I have borrowed this information from his Facebook page. Thank you for allowing us to share our gorgeous son with you. Blake was born on the 4th of February 2012 and delivered to the loving parents Paull and Diane.. A much loved and longed for precious gift indeed ! Within a few days we learned that Blake has an extra special bonus 21st chromosome .. In other words he has Down Syndrome ... This said he has been extremely healthy the whole first year of his life, smiling and charming his way through life, melting the hearts of all who meet him... To our knowledge our little man was very healthy and doing very well in all aspects of development... Blake attended physio, speech therapy, playgroup and a music group and loved mixing with other children and adults ... he absolutely loves music !!! And most of all he is a beautiful boy with loads of personality and charisma. Blake has been in hospital for 24+ weeks now and is a very sick little man and together with his family and crew of supporters and medical staff they are trying so hard to get him home. (Look for "Blake's Million Smiles" if you wish to know more). This beautiful little man has a smile that lights up a room. So here is where I need your help if you have a few minutes to spare. I would love to give Blake his own "I Spy Quilt"
Sadly though I do not have enough novelty prints in my stash to make this happen. So my hope is that maybe some of my very generous quilt and blog friends can help me by making a block or two (or more if you like) for Blake's quilt. It's a simple block and shouldn't take more than a few minutes to make. Here is what I am planning. Sew the two side strips on first and press the seams to the center then sew on the top and bottom. That's it. I will trim and sash. Can you help me makes Blake a Quilt? If so, leave me a comment below and I will sent you my snail mail address to send to. Feel free to add a postcard of where you are from so that Blake and his parents can see who helped make his quilt and where everyone is from. Looking forward to hearing from you if you can help. Sharon, I'd be honored to make a block for Blake's Quilt. Count me in for a few blocks! When do you need it by? I would be willing to make one. Any theme in particular?? I'll be glad to help out! I have TONS of novelty prints. My email is rcoyle at olemiss dot edu. I have company this weekend through Monday, but I'll start cutting out and sewing as soon as they leave. Is there a deadline? PS. I made 50 for a Polaroid swap but they were a little smaller. I'd LOVE to help. I can help. My email is pmajors1958@gmail.com. Share your mailing address with me and I'll start on some of these over the weekend! I can help too. carolalee@netpsace.net.au. Just sash them in white homespun.. I'd like to chip in and make a few! When is the deadline for them to be sent to you as I'm not in the US? I would love to do a few blocks! Count me in Sharon and happy to make more than one if needed. Count me in for 2 blocks! count me in as well Sharon, will start looking through my stash. When will you need them by??? :) Barb. More than happy to make some blocks Sharon! I'd love to do some! count me in Sharon, I have some pieces of novelty fabrics from my novelty hexies. would love to make some. I'd love to make a block Sharon. It's a great idea. I don't have many novelty print but I can make few blocks! Any specific requirement for the color of the sashing? is white-on-white fabric ok? or do you prefer solid? I will make some blocks, I've nearly finished an I Spy for my grandson so have plenty of novelty fabrics. I already have your address from Fat Q swap. If you are still needing more I would love to help out. How lovely for him to have his own special quilt. I'd love to send a few! What is the deadline? What color does the sashing have to be? Thanks! I would love to make a few of these! I will make a block or two also! Can I send you a few from Canada? Such a great idea. Count on me for a block or two. I would love to help with a block or two. I will make some for you. Looks like you have lots of volunteers-king size quilt? But I'd love to make a block or two if you still need more? I'll send a couple of blocks too Sharon. Sharon - I have some great eye spy fabrics if you need more blocks!! Looks like you have had an outpouring of offers. Let me know!! Hi Sharon, lovely thought and gesture. I'm in the midst of doing two blocks now so can you pls email me your snail mail address? Downs is close to my heart with my god-daughters twin brother having it. A challenge for the entire family at the best of times, let alone when they are ill.
hi Sharon I would love to help out....let me know if you still need some....blogland at its best! I would be delighted to make some blocks for Blake Sharon. Can you please send me your Address. Count me in too Sharon. 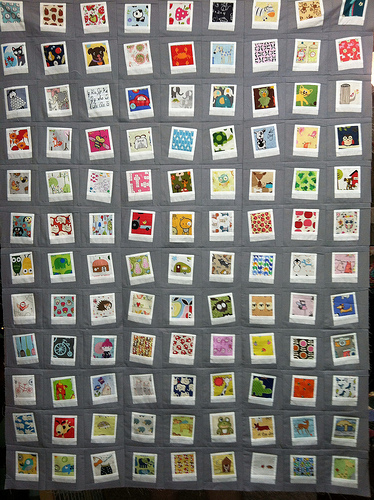 I would be honoured to be part of this wonderful keepsake quilt! I am in Sharon! Please send me your mail address. Do you still need blocks? I'd love to send some! Email is HeyLauri at ymail dot com.